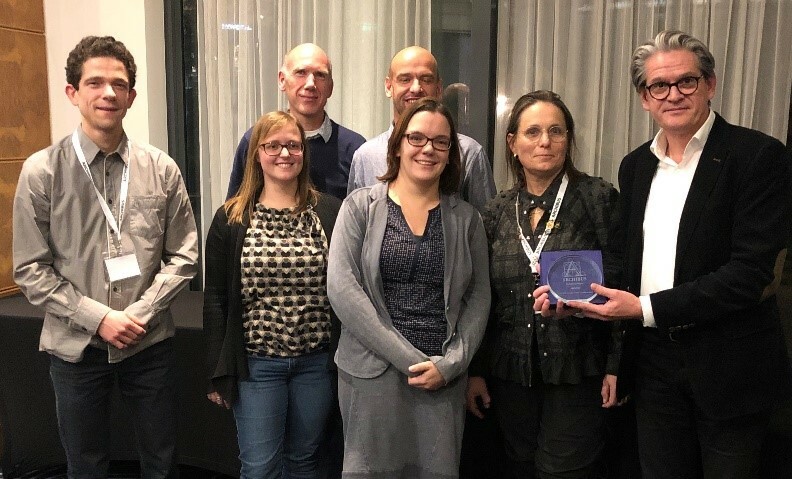 At the yearly ARCHIBUS EMEA business partners meeting in Paris (ARCHIBUS connect) our team was awarded with the “ARCHIBUS network player” of the year award. ARCHIBUS acknowledges our contribution to the ARCHIBUS eco system in the EMEA region. Our consultants and software experts supported projects in South Africa, Italy, France, Czech Republic and Germany. We are very proud winning the award. It recognizes the added value of our team to the ARCHIBUS eco system in EMEA.